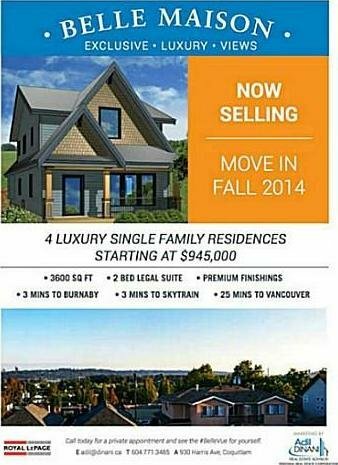 930 Harris Av, Coquitlam - SOLD | Jenny Wun - Oakwyn Realty Ltd.
BELLE MAISON - Elegant, Chic and Distinctively Contemporary best describes these 4 Luxury Single Family Homes. Another project proudly built by Paulsun Developments. Inside, these opulent 6 bedroom 5 bathroom, 3600 SQ FT homes offer open concept great room plans, airy 9 ft ceilings, large kitchen islands, wok-kitchens, top grade appliances, quartz counter-tops and luxury bathrooms. Enjoy the #belle=beautiful #vue=view from all levels plus high-end finishes w/radiant in floor heating & A/C. 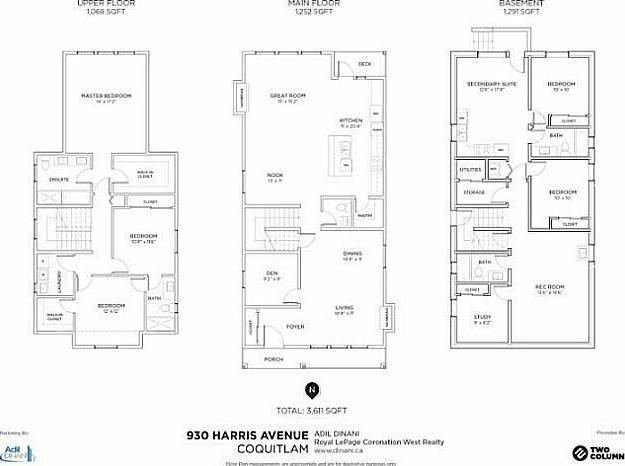 2 bedroom legal suites, mins to Skytrain, Lougheed Mall, Hwy access and the areas best schools. National 2/5/10 Warranty for peace of mind. Occupancy early 2014. Please call for a detailed package.